sailboat. : Jennie's Top Three: Cream Blushers. 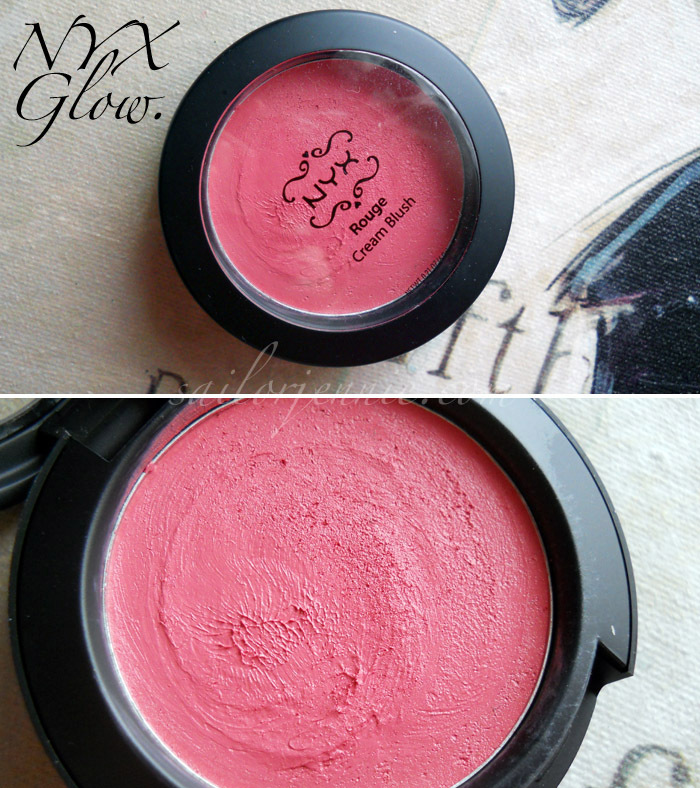 I may have to try the NYX or Topshop blush, they look so nice! And interesting that they don't emphasise dry patches as this is something I often struggle with. Looks like a couple of additions to the wish list! I LOVE Neon Rose but sometimes I can never find it in my local Topshop :(. Great colours! I don't own any cream blushers but I do love Rimmels cool bronze mousse 003 deep glow! It's fab! Personally, I do the good old-fashioned trick of blending a bright lipstick on my cheeks. It matches my lips and it saves space in my makeup bag! @Zoe - With a good moisturiser underneath they apply really nicely! @Beccy - Ahh I need to try that shade, it looks beautiful! @Dreams that Glitter - It's the same with mine, total pain! Silly topshop haha. @KatieWrites - Really recommend the topshop one! @glamour rouge - Ooh I'll have a look at that! @cbsg5861 - That's a great tip! @GoldenGlow - The sometimes have them on there, usually in the summer! I think you might like the MAC cremeblend blushes - they are really good quality! These are sooo pretty! 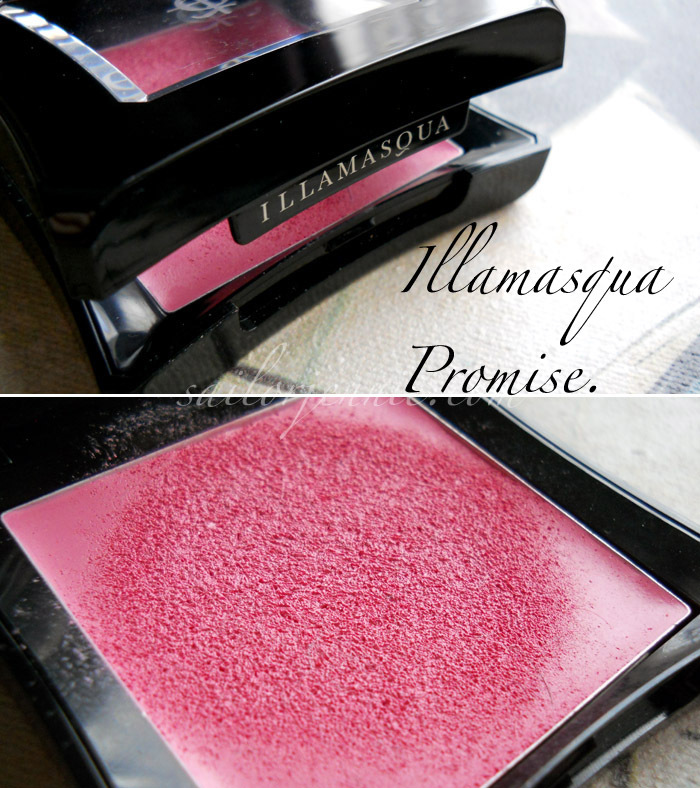 Promise is one I like a lot, but Illamasqua Rude must be my absolute favorite for cream blushers! I've been dying to try out NYX in general and their blushes always look so great but I always end up buying other stuff instead! I also must give their round lipsticks a try. @Harriet - Ahh yeah, definitely more affordable! @Zoe - I may have sneakily just ordered a MAC one. Hehe shh don't tell anyone! @Musing on Beauty - Ooh I'd love to try Rude, I think it's next on my list! @Emma - Yay, I hope you love it! @Carla - I only have 1 NYX round lipstick but I love it! Super cheap too. @Laura - I've just ordered a MAC one, I'm excited! I love the look of Neon Rose - especially the packaging!! I love Neon Rose - it's one of my favorite products! I was a bit disappointed in the other Topshop make up items I've tried, but this blush is amazing. I also like using Eyeko Minty Fat Balm as a cream blusher because it's quite natural looking but has a nice shimmer. i love all of your cosmetics pictures - they make me want to buy all of the products! i wrote down the nyx one for my wishlist - i'm in love with that color! Oh I love Neon Rose for the colour but I'm not 100% sure about the formulation of it... I'd prefer it to be a bit more 'creamier'. I do love the maybelline mousse blushes! Not actually sure if they still do them but I looooove the consistency of them. I adore cream blushes too! They look so natural and make your skin look really healthy! 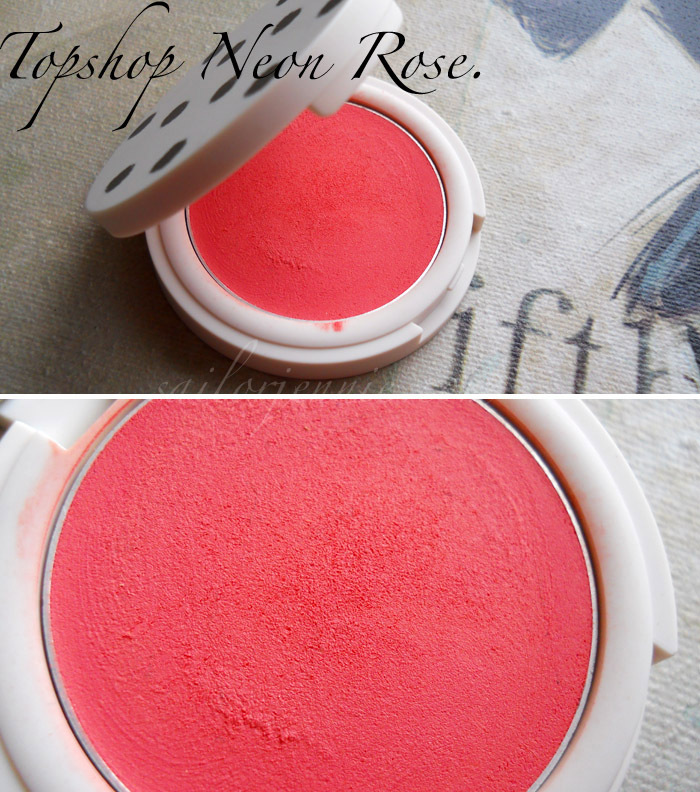 I have a topshop one and I adore the formula but I'm not sure I dare try Neon Rose yet! I love NYX glow, it gives such a natural flush of colour to the cheeks and like you say, it lasts well throughout the day. It's been sitting unloved in my make up bag and your post has reminded me to start using it again. I have glow and it's so lovely.. I like NYX cream blushes more than MAC ones.. Although the new MAC ones are now becoming a favourite of mine..
Really wanna try Neon Rose.. The colour is just stunning! That Neon Rose looks beautiful! 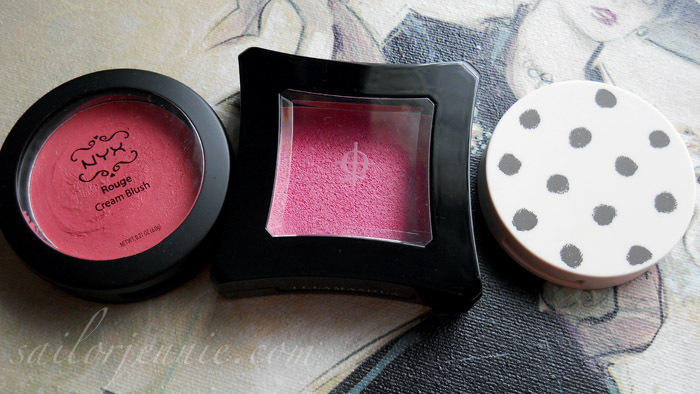 I absolutely love Graftobian cream blushes. I just did a review of them on my blog. Gorgeous selection, but you HAVE to try Inglot's cream blush in 84. Tis beautiful. @Gemma - All perfect for spring/summer! @River - It is super cute! @Carrie - Oh that's a shame that other items aren't as good! @Lily - It definitely is! A great place to start because it sets to a powder. @Alison - Yeah I'm not crazy about the cream to powder in general. Illamasqua's blushers are much creamier, I really recommend Dixie if you're after a nice corally colour. @Lauren - It's a scary colour in the pan but it's so pretty! @Fei - I'd forgotten about mine for a long time too! A sure sign that I've got too much make up haha! @Tiffany - I definitely recommend them. They look lovely set with a powder too! @Gemx - Haha the same happens to me when I use my fingers to apply. It's not a good look! @Delyteful Speaks - NYX are a really amazing brand! @Heather - Ooh I've never heard of that brand before! @Joy - I think neon rose is super popular! @Kat - I wish Inglot was easily accessible here! All three look good but i love the first one, i use it all the time.